Can You Use Steel-Cut Oats in Baking? Manufacturers turn oat grouts into four products: steel-cut, old-fashioned, quick and instant oatmeal. The amount of processing involved distinguishes the types. Most baking recipes that call for oats, including cookies and crumbles, call for some type of rolled oat -- usually old-fashioned or quick cooking. Still, steel-cut oats can be substituted for the rolled type in most recipes with a few adaptations. Expect a slight difference in texture and flavor when you use steel-cut, but it'll be tasty all the same. When cooked for 30 to 40 minutes in hot water or milk, steel-cut oats result in a nutty, chewy porridge rather than the gooier mash you get when rolled oats are used. Steel-cut oats are made when the oat grouts are mechanically split into several pieces. Where as rolled oats, which are also called old-fashioned oats, are steamed before being pressed and dried. Because they've been precooked, they reabsorb water readily and cook quickly. Quick-cooking oats are rolled oats that have been pressed even more thinly, while instant oats are the thinnest of all. Rolled oats and all their variations are softer and faster cookers than steel-cut versions, which makes them a ready ingredient for baked goods. The question is whether steel-cut oats will be able to cook quickly enough when made into cookies, bars and crumbles. Cooking or soaking the oats ahead of time prevents baked goods with steel-cut oats from being gritty and too hard. 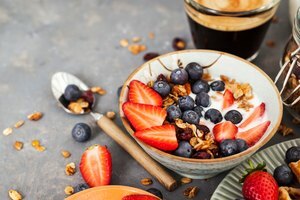 McCann's Irish Oatmeal company suggests subbing one-quarter of all the quick cooking or old-fashioned oats called for in a recipe with cooked, steel-cut oats. The cooked oats add a creaminess to the texture of the baked good and a nutty flavor. Attempting to replace all the dry rolled oats in a recipe with an equal amount of cooked steel-cut oats will only result in a batter that's substantially heavier and may not bake up as you expect — cookies or bread may be too dense and heavy to bake to a proper consistency. 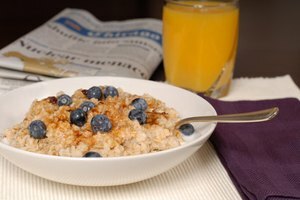 Some recipes, such as this one for steel-cut blueberry muffins, do use cooked steel cut oats only, but they have adjusted the ratio of liquid and dry ingredients accordingly. As an alternative to cooking, soak the steel-cut oats overnight in milk or water before using in a baked good but stick to replacing only 1/4 of the total oats called for with the soaked steel cut. 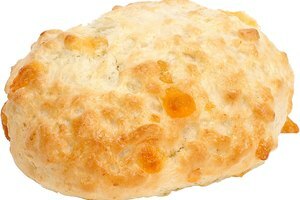 Soaked oats will have a higher moisture content and heavier density -- too much could negatively affect a baked good's outcome. So, if you're making a cookie that calls for 1 cup of quick cooking oats, add about 1/2 cup of cooked or soaked steel-cut oats and 3/4 cup quick-cooking oats, uncooked. Steel-cut oats can't be used in lieu of rolled or quick-cooking oats on crumbles or crisps -- the results will be too gritty if the oats are used raw or mushy if the oats are cooked. What Is the Difference Between Oatmeal & Irish Oatmeal?